​Deepen your intimacy with God's Word and Increase your capacity to live a fuller Christian life. 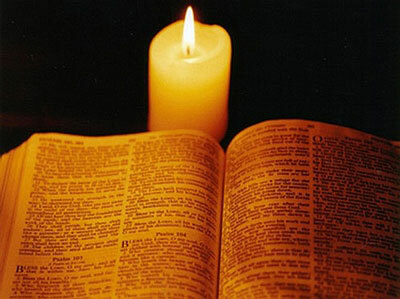 Lectio: Reading the Word of God - The Word of God is read in a listening manner with “the ear of one’s heart.” One is attentive to the phrase, sentence or one word that is noticed. The participants experience the method. Meditatio: Reflecting on the Word of God - The Word of God is reflected upon and the phrase, sentence or one word that captures one’s attention that touches one is savored and held reflectively. The participants experience the method. Oratio: Responding to the Word of God - The Word of God is responded to in a spontaneous manner. One may express a prayer, a concern, a question. The participants experience the method. 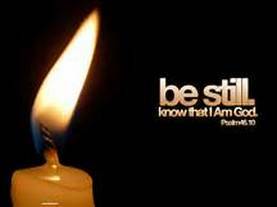 Contemplatio: Resting with the Word of God - The Word of God is rested within the silence. One allows it to speak in the quiet of one’s heart. The participants experience the method. Becoming a Word of God - The transformative power of the Word of God is experienced as one is faithful to Lectio Divina. The participants explore the fruits of one’s deepening relationship with God. This day is filled with a variety of experiences of Lectio Divina. Mike Smoolca, an experienced contemplative prayer practitioner, is Coordinator of the Connecticut Chapter of Contemplative Outreach, a Centering Prayer facilitator, a Commissioned Contemplative Outreach presenter and student of Contemplative practices. Mike is a Spiritual Director and experienced Contemplative workshop facilitator and speaker. He is the Coordinator of the Northern CT Chapter of the International Thomas Merton Society and is active in several Parish ministries at St Mary's Church in Simsbury. Nancy Stimac, a long time contemplative prayer practitioner, is a Centering Prayer facilitator and Commissioned Presenter of Centering Prayer for Contemplative Outreach and a membership of the Contemplative Outreach of CT Leadership Team. Nancy is a graduate of the Archdiocese of Hartford Catholic Bible School and Lay Ministry programs. She uses her gifts to serve the Catholic Community of Windsor Locks as a prayer group facilitator, Bible study leader, RCIA teacher, lector, and evangelization team and parish council member. To register contact Nancy Stimac 860-683-4490, text 860-967-7833, email prayereventswl@aol.com or simply Register below. Light Snacks will be available but please bring your own Brown Bag Lunch. A Free Will Offering is appreciated. We ask you to invite others in your area to attend who are interested in being introduced to this method of praying scripture.